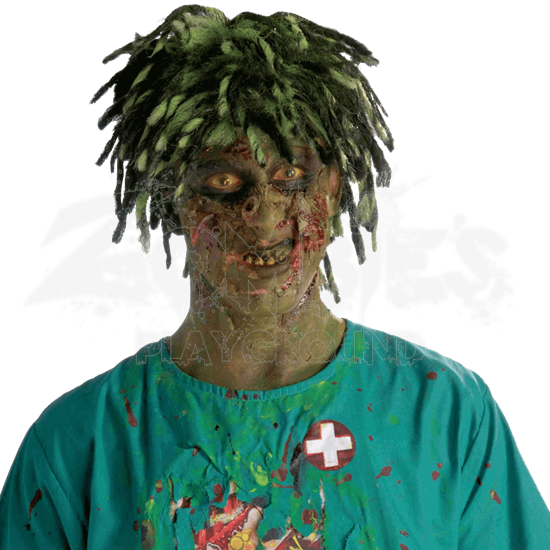 Featuring tufts of messy, unkempt hair in unhealthy shades of color, this Contaminated Biohazard Zombie Wig is the perfect way to give your zombies a perfect head of hair that is exactly in-keeping with a striking undead style. This startling wig is styled almost into a tuft of messy dreadlocks, although with its messy look, the style has not been maintained all that well for some time. The wig features hair in varying shades of green, as well as black, which helps to create a look that is equal parts eerie and undead. Zombies come from all walks of life and feature all different styles of hair. 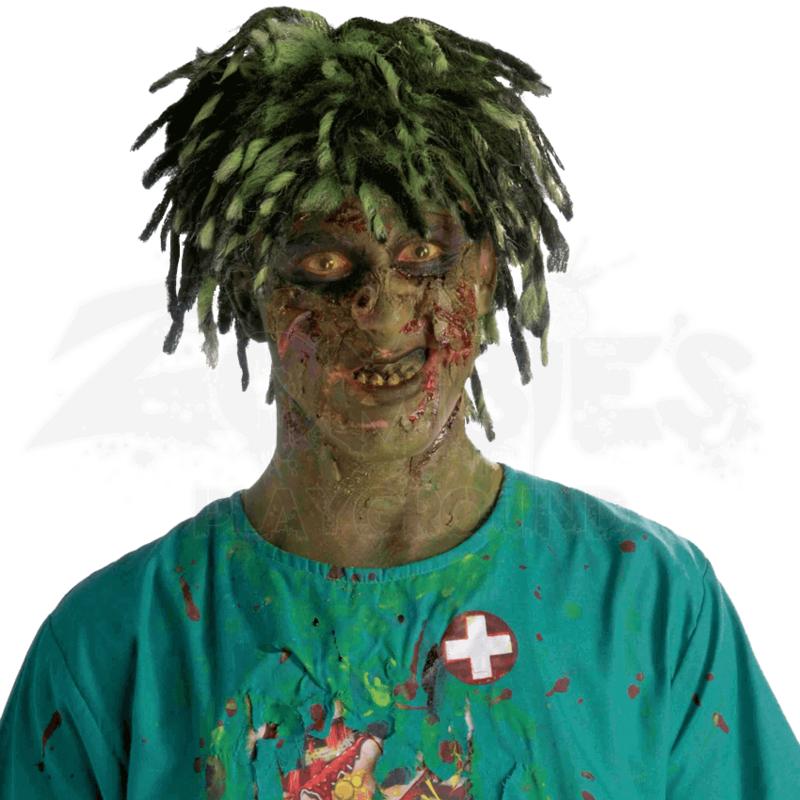 So if you are looking for a great zombie wig to use to complete your zombie costume, then consider adding this Contaminated Biohazard Zombie Wig to your look, which will help to create something that is truly terrifying to behold.